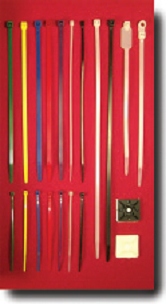 West Penn Wire is one of the original and leading manufactures of Fire Alarm cables in the world. Security and Alarm cables are a vital part of the building and construction industries. West Penn Wire's Security and Fire Alarm cables have been one of the most trusted names in the Security industry. West Penn Wire offers the broadest line of fire alarm cables in the industry! Our fire alarm cables are designed to meet Conventional and Addressable system specifications. West Penn Wire also offers Circuit Integrity fire alarm cables.